2. Chaurasiya, R. K., N. D. Londhe, and S. Ghosh. "Statistical wavelet features, PCA, and SVM based approach for EEG signals classification." International Journal of Electrical, Computer, Electronics and Communication Engineering 9.2 (2015): 182-186. 1. Shourya Shukla, R K Chaurasiya, T P Sahu. "Emotion Analysis Through EEG & Peripheral Physiological Signals". Accepted in International Conference on ISMAC in Computational Vision and Bio-Engineering (ISMAC-CVB), 2018. 2. Rahul Kumar Chaurasiya, Aparajita Saraf, D. Sarala, Tejas Kanikdaley, Sharad Jogi. “Multi-Objective Binary-PSO for Improving the Performance of P300 Spellers”. Presented by in 3rd IEEE International Conference On Internet of Things: (IoT-SIU), 2018. 3. D. Sarala, Tejas Kanikdaley, Sharad Jogi, Rahul Kumar Chaurasiya. “Content-Based Image Retrieval Using Hierarchical Color and Texture Similarity Calculation”. Presented in 8th International Conference on Computing, Engineering and Information Technology (ICCEIT 2018) in Bangkok, Thailand, 2018. 4. S Mohdiwale, T P Sahu, R K Chaurasia, N K Nagwani and S Verma." Detection and classification of noise using bark domain features." Presented in 2018 6th International Conference on Communications and Broadband Networking (ICCBN) NTU, Singapore, 2018. 5. Deeksha Karanjgaokar, B Krishna Prasanna, Rahul Kumar Chaurasiya. “Comparison of Classification Methodologies for Predicting the Stages of Diabetic Retinopathy”. Presented in IEEE International Conference on Intelligent Sustainable Systems (ICISS), 2017. 6. S Mohdiwale, T P Sahu, R K Chaurasia, N K Nagwani and S Verma. "Abnormal Activity Detection in Forest Reserve Using Cumulative Short Time Fourier Transform Features." Presented in International Conference on Intelligent Sustainable Systems (ICISS), 2017. 7. Sneha Agrawal, Rahul Kumar Chaurasiya. “Automatic Traffic Sign Detection and Recognition Using Moment Invariants and Support Vector Machine”. Presented in IEEE International Conference on Recent Innovations in Signal processing and Embedded systems (RISE), MANIT-Bhopal, 2017. 8. Sneha Agrawal, Rahul Kumar Chaurasiya. “Ensemble of SVM for Accurate Traffic Sign Detection & Recognition”. ACM’s International Conference on Graphics and Signal Processing (ICGSP 2017), NTU, Singapore, 2017. 9. Vibhore Bhatnagar, Nikhil Yede, Rahul Singh Keram, and R. K. Chaurasiya. "A modified approach to ensemble of SVM for P300 based brain computer interface." IEEE International Conference on Advances in Human Machine Interaction (HMI) –2016. 10. Harsh Bhagwani, and Rahul Kumar Chaurasiya. “Step Wise LDA on Averaged ERPs for Faster and Efficient Brain-Computer Interfacing.” IEEE International Conference on Human Computer Interactions (ICHCI'16) –2016. 11. R. K. Chaurasiya, N. D. Londhe, and S. Ghosh. “An Efficient P300 Speller System for Brain-Computer Interface”. IEEE International Conference on Signal Processing, Computing and Control–2015. 12. R. K. Chaurasiya, Khushbu Jain et al. “Epileptic Seizure Detection using HHT and SVM”. IEEE International Conference on Electrical, Electronics, Signals, Communication and Optimization (EESCO) – 2015. 13.Y. K. Sen, R. K. Chaurasiya, and Shrish Verma. "A Novel pattern recognition model for real-time voice data input." Confluence The Next Generation Information Technology Summit (Confluence), 2014 5th International Conference-. IEEE, 2014. 14. R. K. Chaurasiya, and Vishakha Chourasia. "High Dynamic Range Imaging for Dynamic Scenes." IEEE Fourth International Conference on Communication Systems and Network Technologies (CSNT), 2014. 15. R. K. Chaurasiya, and K. R. Ramakrishnan. "High Dynamic Range Imaging." IEEE International Conference on Communication Systems and Network Technologies (CSNT), 2013. M.E. in System Science and Automation- IISc, Bangalore. B. Tech. in Electronics and Communication Engineering- MANIT, Bhopal. 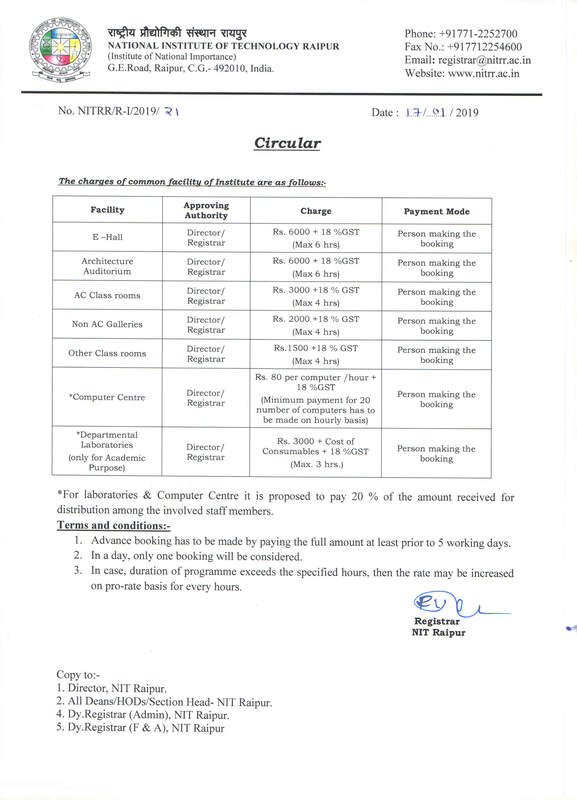 2013-Present: Assistant Professor in NIT, Raipur. Title- Development of efficient Devanagari Script Input Based P300 Speller system for Brain-Computer Interface. Sponsored by- Dept. of Science and Technology (DST), GoI. Recipient of Best Paper award in 8th International Conference on Computing, Engineering and Information Technology (ICCEIT 2018) organized in Bangkok, Thailand, 2018. Recipient of Best Paper award in ICACSET-2017, organized at Kochi, India in March-2017. Recipient of Summer Research Fellowship SRF-2015 (for faculty) by Indian Academy of Science, Bangalore for carrying research-work at IISc, Bangalore (May-July, 2015). GATE (2009) Qualified with AIR 165 (99.61 percentile). AIEEE (2005) Qualified with AIR 1899 and State Rank 96. Merit Holder in X and XII Examinations. London, United Kingdom (2015) for attending XIII International Conference on Data Mining and Computational Intelligence. Singapore (2017) for attending ACM's Int. Conf. on Graphics and Signal Processing at NTU, Singapore. One week STTP on “Digital Image Processing, Pattern Recognition and Applications” at NIT Raipur (07-11 March, 2016). One week STTP on “MACHINE LEARNING” at NIT Raipur (28 Aug-01 Sep, 2017). Second STTP on “MACHINE LEARNING” at NIT Raipur (18-22 Dec 2017). National Conf. on Microelectronics, Embedded systems and Comm. & IT (NCMEC ‘18), 2018. By SRM University, Chennai. National Workshop on Modeling, simulation and Optimization at Kruti Inst. 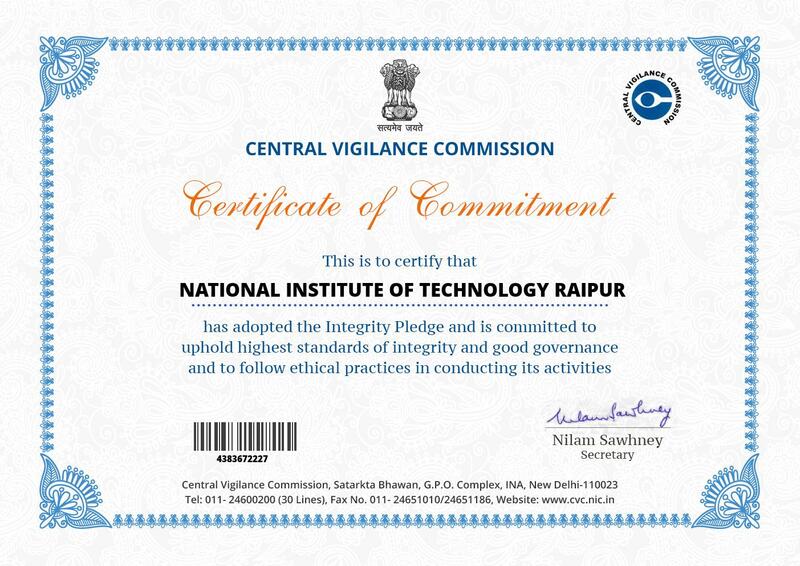 of Tech and Engg, Raipur, 2016.